Victims of an auto accident should be able to make a claim to receive compensation from an auto insurer. In Portland, drivers have to buy bodily injury liability coverage, property damage liability coverage, uninsured and underinsured motorist coverage, and personal injury protection (PIP). The broad minimum coverage requirements mean almost everyone should be able to recover compensation if they get hurt in a collision. 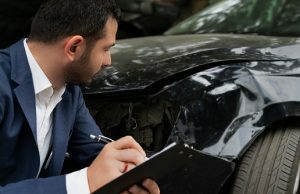 Oregon Mutual, Grange, Amica, and Allied are among the insurance companies who make automobile insurance policies available to Oregon consumers and who will provide compensation to victims who get hurt in Oregon auto accidents. Insurers aren’t on your side. Insurance companies want to pay as little to you as possible, in most cases. They’ll be looking for ways to deny your claim, trip you up and get you to change your story, or get you to accept less in compensation than you deserve. You need to be prepared to protect your rights, which usually means having a lawyer help you. Different insurers cover different losses. If you suffered injury, regardless of who was at fault, but your injuries weren’t very costly or serious, you’ll make a personal injury protection claim with your insurance company. If you got hurt because another driver was negligent but that driver had no insurance or insufficient insurance, you’ll make an uninsured or underinsured motorist claim with your own insurer. If you got hurt by another driver who had insurance coverage, you’ll make a claim with that driver’s insurer. Insurers usually make low ball settlement offers. Your attorney should send a demand letter to the insurer to ask for an appropriate amount of compensation so you start negotiating based on a dollar amount you believe is fair. If the insurer counters back, you’ll negotiate back and forth until you reach a number that is reasonable- if the insurer is willing to be reasonable. If not, you may need to go to court. A liability release is permanent. Before an insurer will pay your damage claim, you’ll have to sign a release of liability. You cannot change your mind once this happens. Be sure your settlement covers your damages and that you know the full extent of your losses before agreeing to settle your claim. Know how to respond if an insurer won’t be fair. If your own insurer denies legitimate claims or doesn’t treat you fairly, you’ll need to make a bad faith claim. If the other driver’s insurer won’t make a fair settlement offer, you’ll need to pursue a personal injury claim. By keeping these key pieces of info in mind, you will have a greater chance at recovering the compensation you deserve.